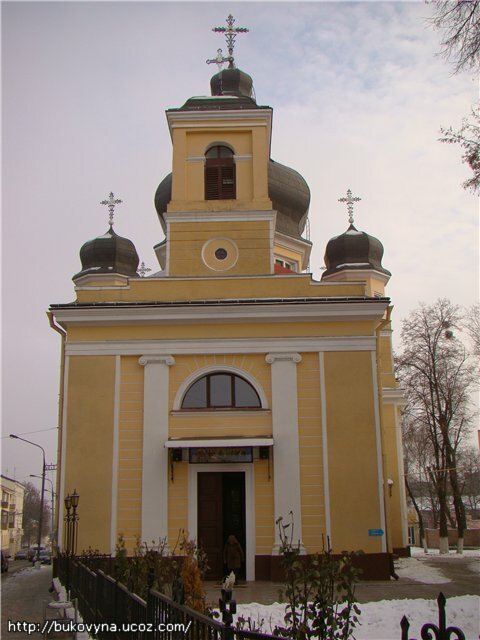 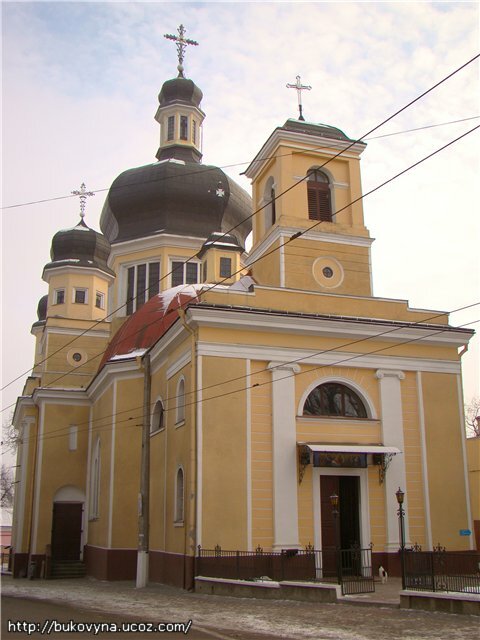 This church is distinguished by its classic architecture style combined with Byzantium and Ancient-Ukrainian traditions. 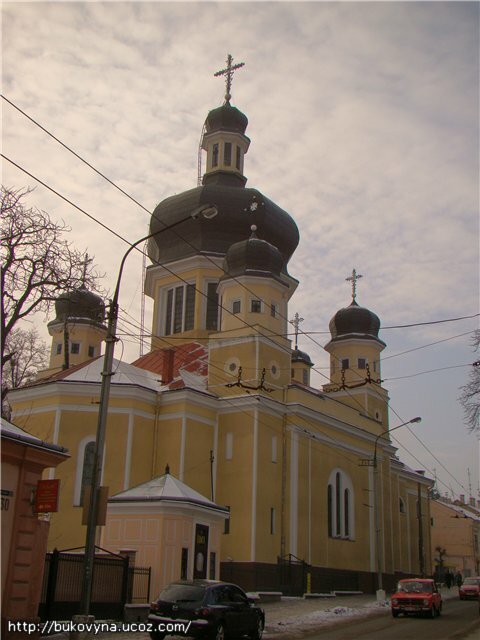 Its founder was Ukrainian Tadey Turkul, a Bukovynian boyar from a respected old ancestry. 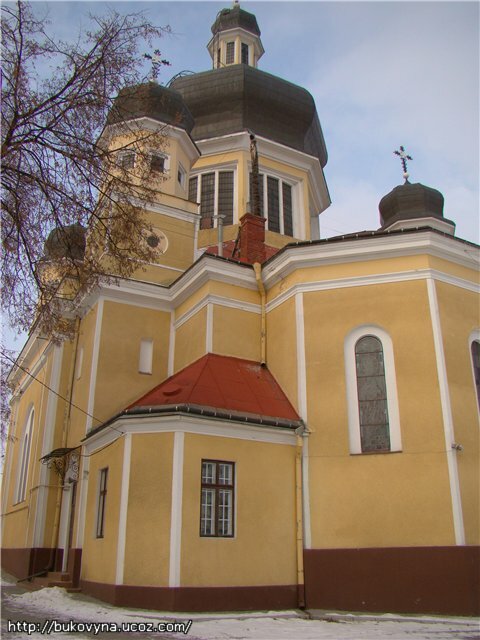 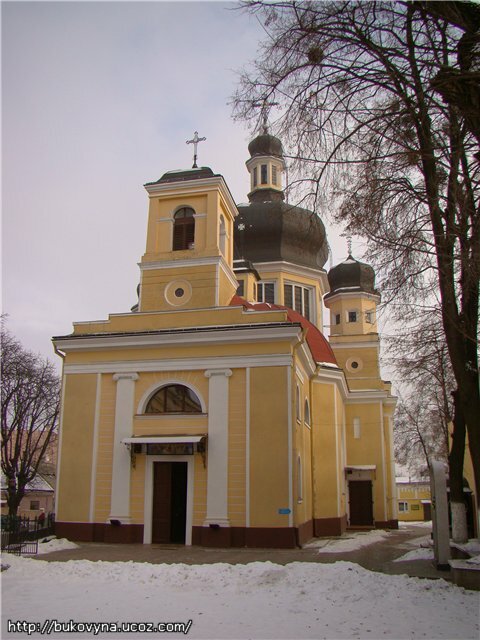 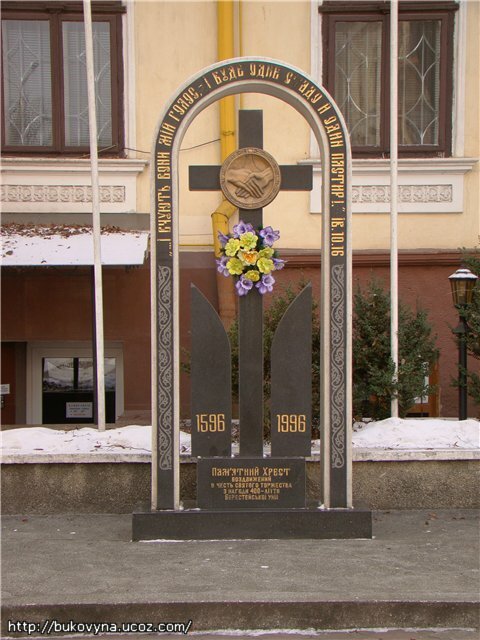 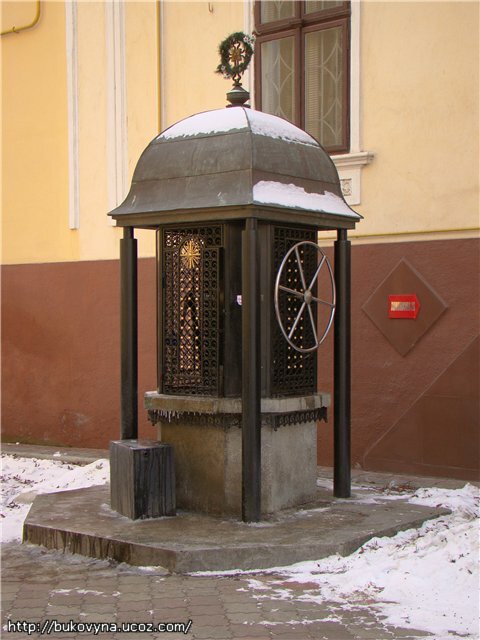 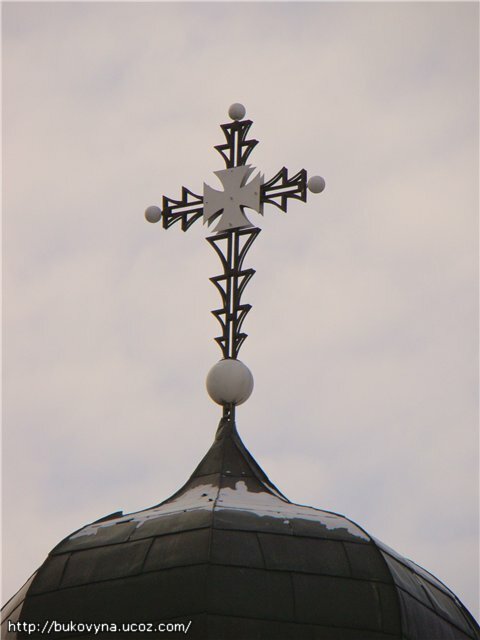 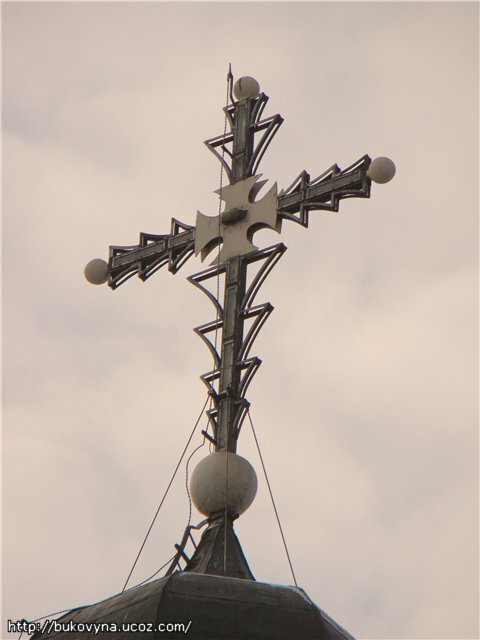 As a sign of gratitude to him the church had the name of St.Tadey for several decades, the same name was given to the church fellowship founded in 1834 being the first Ukrainian non-governmental organization in Bukovyna. 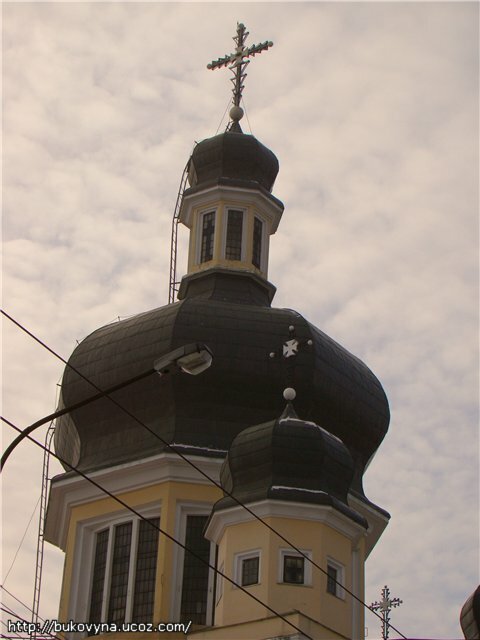 Rear view from Ruska st.